This is the most recent information about Rodney Atkins that has been submitted to amIright. If we have more information about Rodney Atkins, then we provide a link to the section where it appears (the actual page whenever possible). "Take A Back Rod" originally "Take A Back Road"
"Stake A Back Road" originally "Take A Back Road"
Good advice for when vampires are following you? "If You're Going Through Shell" originally "If You're Going Through Hell"
"Angela's Hands" originally "Angel's Hands"
"Angelo's Hands" originally "Angel's Hands"
"Take A Back Load" originally "Take A Back Road"
"Take A Back Toad" originally "Take A Back Road"
"Tasted Whiskey" originally "Wasted Whiskey"
"Wanted Whiskey" originally "Wasted Whiskey"
"Wasted Whisker" originally "Wasted Whiskey"
We got cowboy boots and camel pants. We got cowboy boots and camo-pants. We like Bics 'n' bangs and holdin' mama's hand. We like fixin' things and holdin' Mama's hand. "If You're Going Through Hell"
I felt a hunner dimmin' demons. I felt a hundred different demons. Then like a memory from your grandpa's attic. A song comes slippin' through the radio static, changin' my mood, a little George Strait 1982. It's a high school prom, it's a Springsteen song it's a ride in a Chevrolet. it's a ride in a Chevrolet. Donkey Trains Submitted by: Robert D. Arndt Jr.
Anodyne Skirt Submitted by: Robert D. Arndt Jr.
Annoyed Skirt Submitted by: Robert D. Arndt Jr.
Yanked Intros Submitted by: Robert D. Arndt Jr.
Dankest Irony Submitted by: Robert D. Arndt Jr.
"Bake A Tack Road" originally "Take A Back Road"
"Rake A Back Toad" originally "Take A Back Road"
"Bake A Rack Toad" originally "Take A Back Road"
"If You're Throwing Goo Hell" originally "If You're Going Through Hell"
I never saw a goo hell that looked easy to throw! 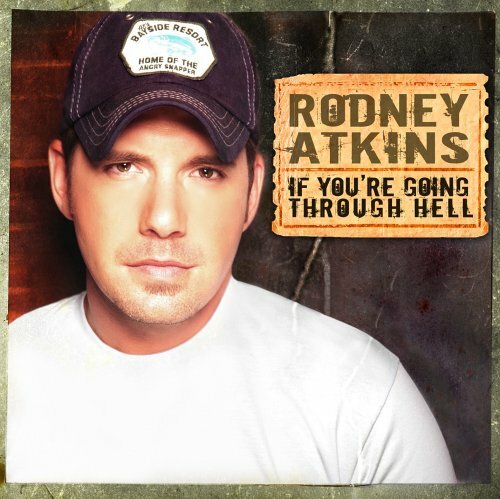 Roddy Gnat Kins originally "Rodney Atkins"
Kidney Rot Cans originally "Rodney Atkins"
Odd Knee Rat Kins originally "Rodney Atkins"
Adney Rotkins originally "Rodney Atkins"